Home > Personal Finance > How Can I Save More Money Each Month? Most of the money spent by the average American is from their taxed income or take-home pay. Accounts like HSA (Health Savings Account) and FSA (Flexible Spending Account) are withheld before you get your paycheck amount-pre-tax. Ultimately, you end up paying fewer taxes which saves you money. Every dollar helps, andthey add up quickly when it comes to taxes. The use of pre-tax deductions, like HSA and FSA, is extremely beneficial and shows how to save money. Pre-tax deductions can be broken down into two parts. Pre-tax refers to a tax that occurs before your other taxes are taken out of your paycheck. A deduction occurs when money is taken out or withheld. Therefore, a pre-tax deduction is the money that’s taken out of your paycheck before other taxes are set into motion. Plans for pre-tax deductions are established with your employer. From then on out, they are withheld from your taxable wages and put into the accompanying account. The most common pre-tax deductions are dental, vision, medical insurance, 401K, FSA, HSA and parking expenses. A 401K and medical insurance are pretty typical. But other reasons to request a pay deduction, such as FSA and HSA, aren’t utilized by everyone. An FSA (Flexible Spending Account) is created during your benefits enrollment period and is used to pay for eligible medical or dependent care expenses. When you set up a plan, a certain amount of money is deferred from part of your salary and reimbursed when you need to use it. Contributing to an FSA reduces your taxable wages because it is funded with pre-tax money. It’s taken out of your paycheck before any other state or federal taxes. As of 2018, the maximum amount of salary deferral is $2650, $50 more than it was in 2017. Make sure to spend the amount before the plan’s deadline. HSAs (Health Savings Accounts) are a great way to save money. An HSA is offered by your employer alongside a high deductible health insurance policy. If you’re self-employed,you can have one as well, but you need to have the same type of health insurance. Upon creating the account, either all or a part of the deductible is deposited to cover costs until the deductible is metand the health insurance policy takes over the financial burden. If you need it, extra money can be added through another payroll deduction. You can also withdraw money if necessary, but it comes with a 10% penalty. Funds from this account can be used to pay for medical expenses like eyeglasses and contacts, co-pays, drug prescriptions, etc. People often use it to pay their health insurance deductible. This gives you the financial security to pay for an unexpected expense using your health savings account, rather than out of pocket. You can access your account if you switch jobs once it’s moved over to your new employer. It’s important to note that an HSA earns tax-free interest, while FSA does not. If you have to take mass transportation to get to work every dayor are part of a vanpool or carpool with at least one other person, you can payroll deduct your parking fees on a pre-tax basis. Not all parking locations are eligible to be paid for by this deduction. Taking advantage of a parking fee pre-tax deduction will save you the cash in your pocket. When you start a 401K plan with your employer, money is taken out of your pre-tax wages and put in an individual account. The funds are then matched by your employerup to a certain percentage. Your money will build over time so that when you retire, you can use it to fund your lifestyle. It’s a great way to save money and ensure that you can retire comfortably and worry-free. Saving for your retirement using other methods can be effectivewhen you know what you’re doing. If you’re not an expert, it might make sense to accept a pre-taxed plan that has interest and is matched in funding for your retirement savings. It is possible to use some of the money in this account before retirement. If you do so, you will receive a 10% penalty and have it taken away from the amount that you’ve built up so far. Part of your credit score is based on your ability to pay bills on time, as well as your long-term financial health. When a medical bill or other bills go unpaid for too long, they harm your credit score and your personal finance. 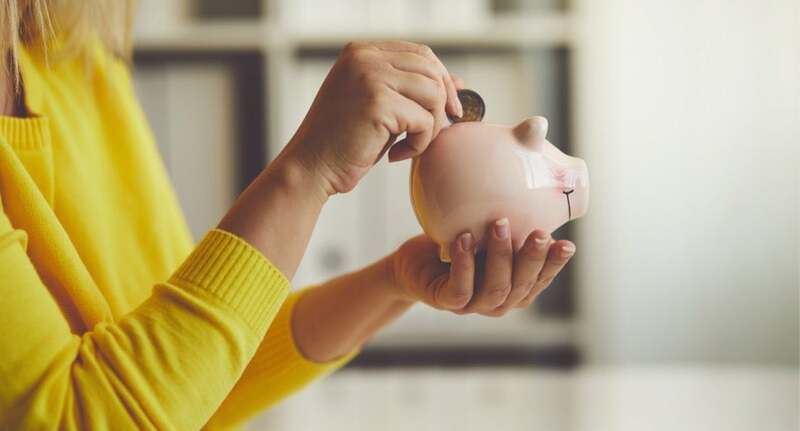 If you become proactive in your finances and adjust your spending habits, you will avoid this situation and may even have access to an emergency fund. Pre-tax deductions provide you with a financial safety net. When medical problems occur, or if you need to buy a new pair of glasses, you can cover them with your monthly savings plan. Without a safety net or a plan put into place, you might use your spending money or put off another bill just so that you can pay this one. Try employing smaller habits throughout your daily routine, like grocery shopping at a store with affordable prices, eating your meals at home instead of out, paying down your credit card debt and adjusting some of your other daily spending habits while following these other money saving tips. Soon enough you will reach your financial goals.